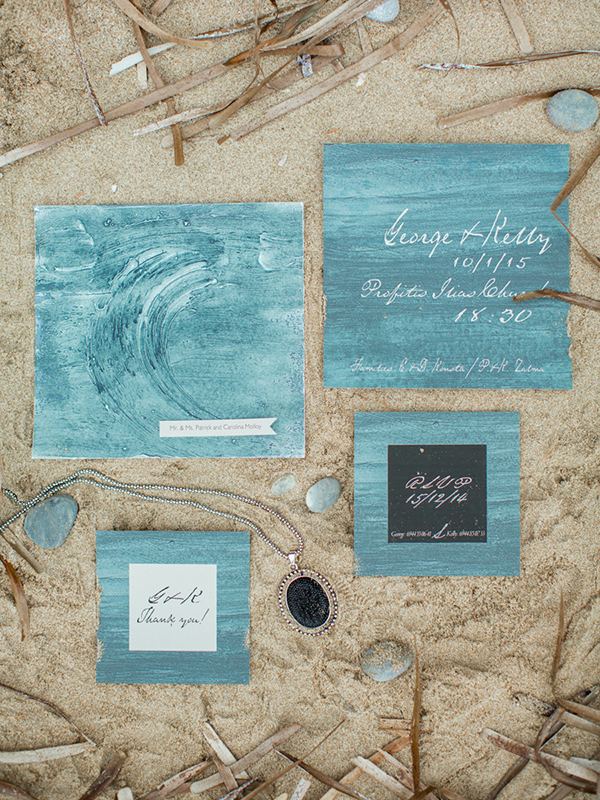 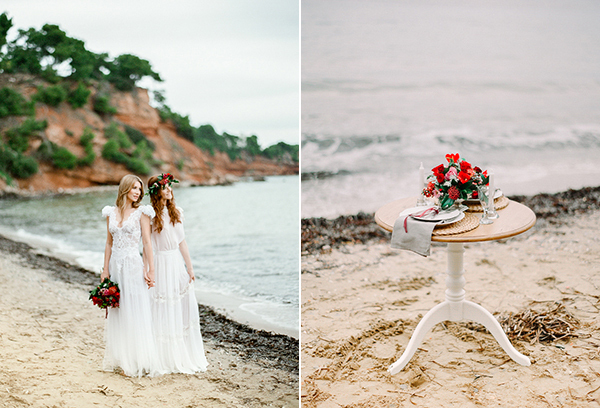 We absolutely loved creating the bridal beach shoot you are about to see and be taken away by its timeless beauty. 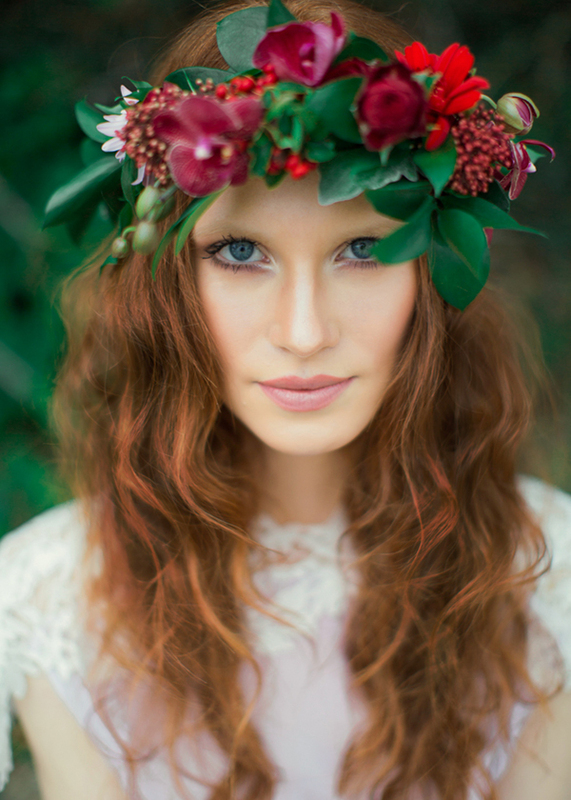 There isn’t a single image captured by photographers Adrian Wood and Anna Roussos that I don’t love. 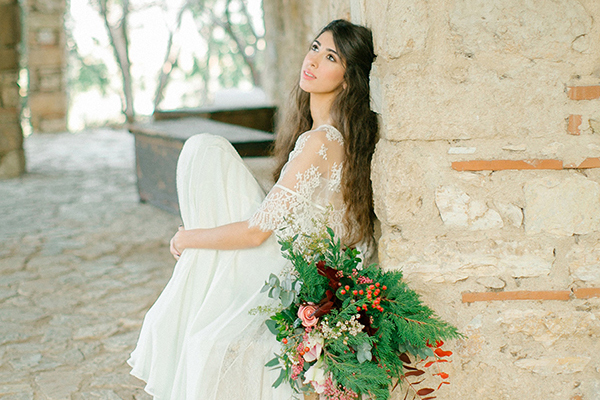 Collaborating with an amazing team, we searched (in the heart of the winter season!) 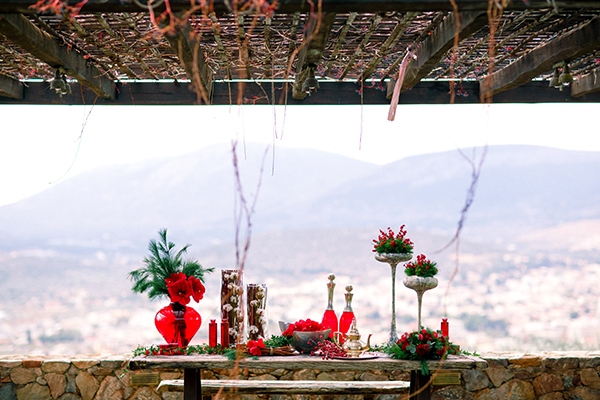 for the picture perfect location for the photoshoot. 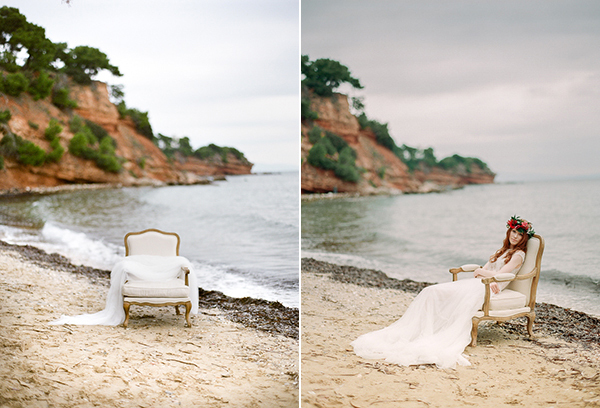 A remote and serene beach, surrounded by trees. 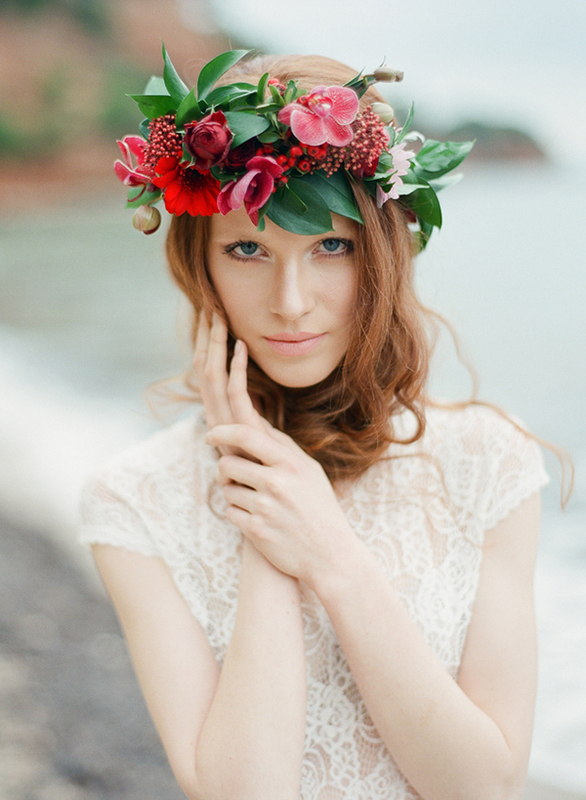 If you are looking for bridal inspiration, you definitely will find it here today. 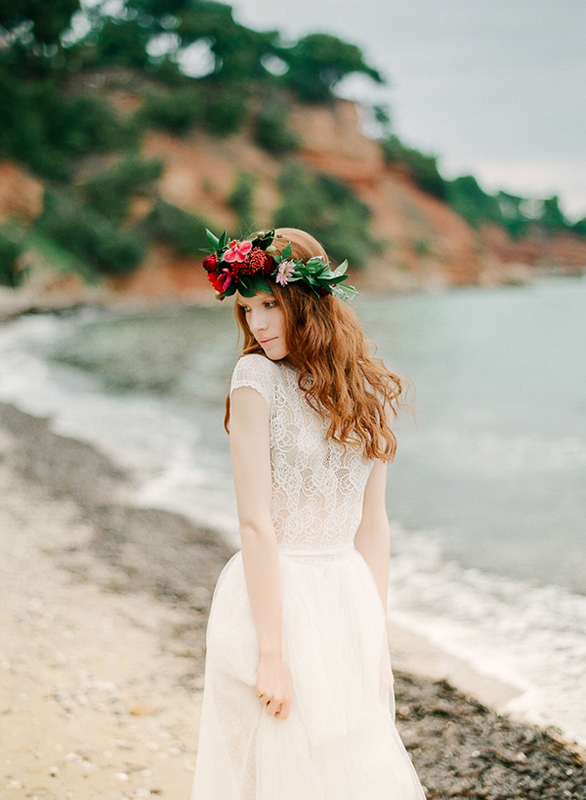 The ethereal wedding dresses designed by fashion designer Anna Anemomilou, the flower crown by Kokkinos Flowers with lush red blooms that truly enhanced the bridal look and the wonderful wedding stationary created by Be My Guest tied everything together beautifully with the greyish colors and beach inspired design. 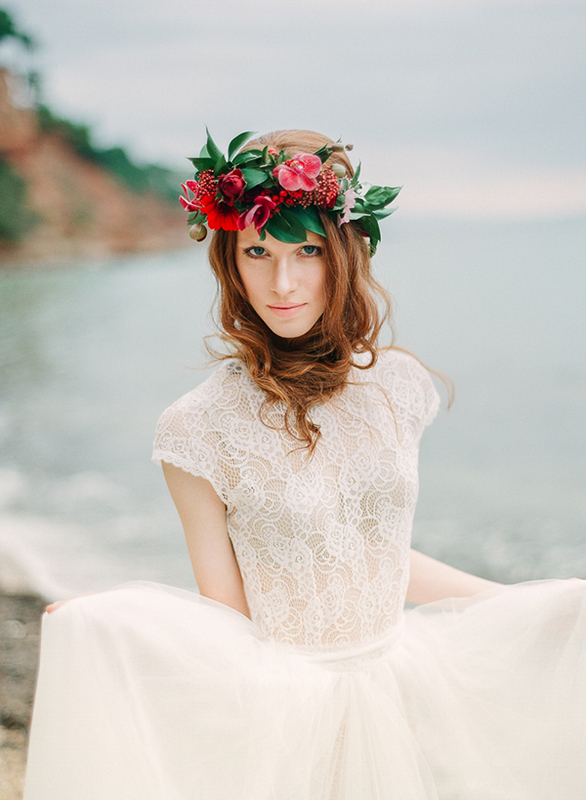 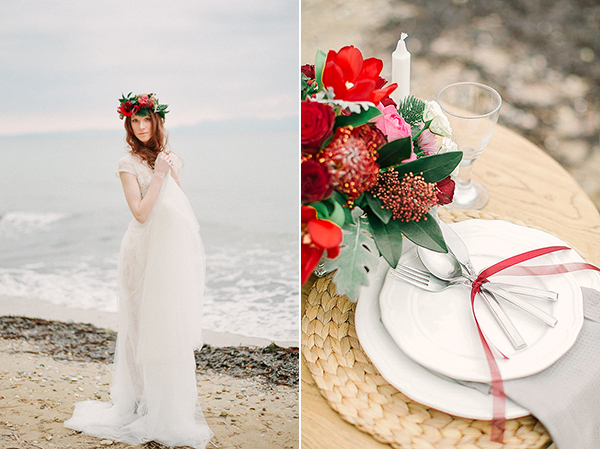 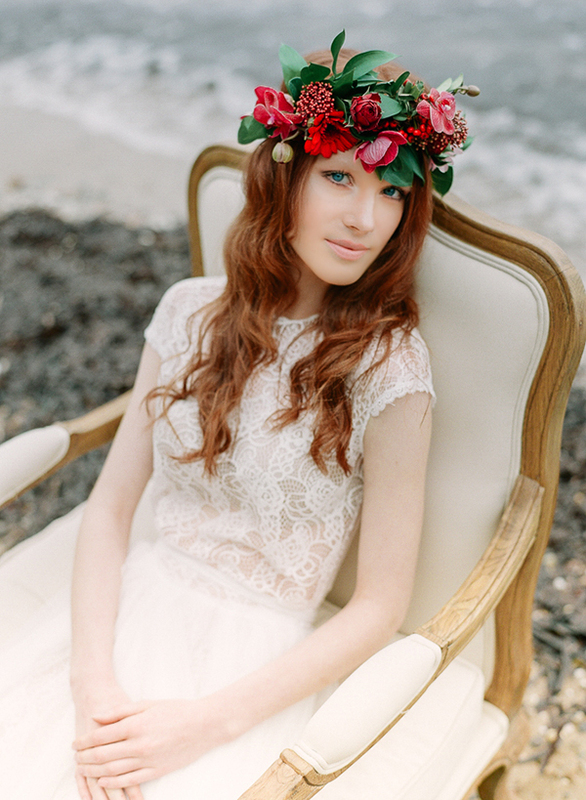 A dreamy red winter bridal shoot on the beach that is sheer perfection and we are more than thrilled to share it with you today! 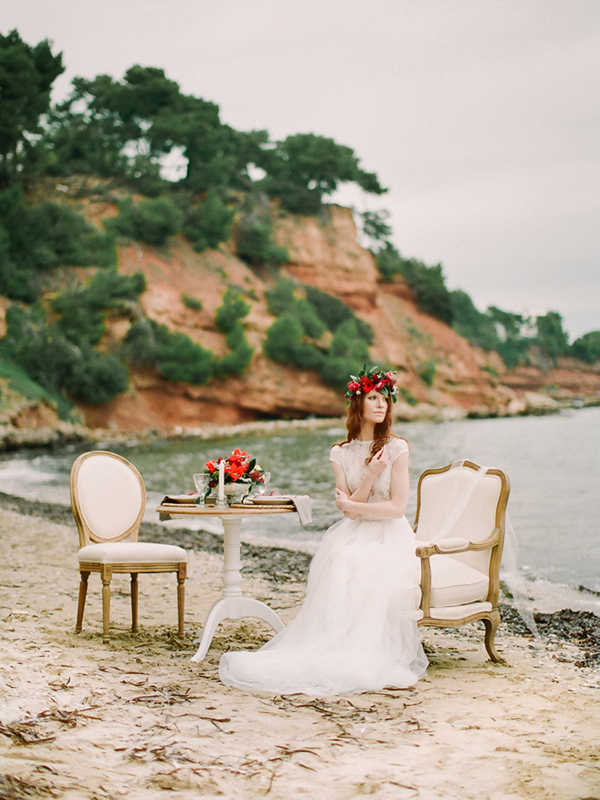 Be My Guest, Zazoo Event Rentals are on Chic & Stylish Selected Vendors.